The Nightly Show with Larry Wilmore consistently serves up hilarious social commentary from diverse voices. We're fans because they've hired two of our funny Black woman favorites, Robin Thede and Franchesca Ramsey. 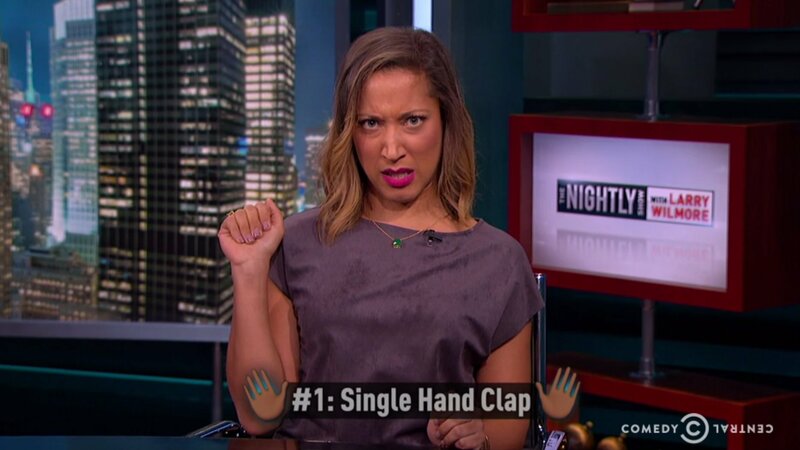 In honor of Women's History Month, Robin Thede broke down what she calls Black Lady Sign Language, the gestures Black women use to emphasize our points. Robin's take was spot on. Black women do a lot with little verbal communication necessary, and you better recognize what we mean.